The First Berkeley Arts Council Members’ Exhibit will open on Thursday, January 23 at the Berkeley Art Works, 116 North Queen Street in Martinsburg. The exhibit brings together a wide range of styles and techniques by the local arts community. There will be a reception on Saturday, January 25 from 5-7pm. Members of the public are invited to come and meet the artists. Admission is free. The gallery hours are Thursday-Saturday, 12-5 and 12-3 on Sunday. Artwork by more than 30 member artists and artisans is on display including paintings, photography, sculpture, and more. Paintings are on display on slate, wood, and metal saw blades as well as traditional canvas. Other work includes color and black and white photography, metal sculpture, turned wood, hand-made jewelry and more. The Berkeley Arts Council announces the Fourth Annual Art and Earth Juried Exhibit. The exhibit will open April 10, 2014 in the special exhibit gallery space at the Berkeley Art Works, 116 North Queen Street in Martinsburg. There will be an opening reception on Saturday, April 12 from 5-7pm. The exhibit will be on display through May 4, 2014. The exhibit will have the theme “Art and Earth: My Art – My World” and entries should reflect the artist’s view of nature, the environment, or reflect an Earth Day related theme. Any medium or technique is acceptable. The exhibition is open to all visual artists over the age of 18 in all media. Entries must be original works of art that have been completed within the last three (3) years, and have not been previously exhibited in The Berkeley Art Works. All entries must be submitted digitally in jpeg format on a CD. Entries must be postmarked by February 18, 2014. The juror for the 2014 exhibit will be Lauren Schell Dickens, the Assistant Curator of Contemporary Art at the Corcoran Gallery of Art in Washington, DC. There will be a minimum prize fund of $600 including a $250 prize for Best in Show. The full prospectus and entry forms are available at www.berkeleyartswv.org/artworks/artandearth/ or at the Berkeley Art Works Gallery, 116 North Queen Street in Martinsburg. For more information email berkeleyartswv@gmail.com or call 304-620-7277. The Berkeley Art Works, a service of the Berkeley Arts Council, is the realization of the long-held dream of the arts community in Martinsburg and Berkeley County West Virginia: to have a community-based arts facility that supports local and regional artists, brings quality arts experiences for the members of the public, and provides a wide range of arts learning experiences for local residents, artists, and artisans. 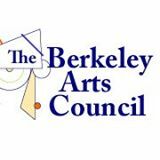 The Berkeley Arts Council is on the Web at www.berkeleyartswv.org. The Berkeley Arts Council January art classes start next week and there is still space available in most of them. If you are interested in taking one of these classes, follow the “Learn More” link for the details and you can enroll online. The classes are held at the Berkeley Art Works, 116 North Queen Street in Martinsburg. Teaching Artist Mary Klotz will be facilitating a daytime watercolor work group for advanced beginner and intermediate watercolor painters starting January 20 at the Berkeley Art Works, 116 North Queen Street in Martinsburg. The Group will meet once per month in January, February, and March. Ongoing workshop meets once per month for 3 hours. 3rd Monday of the month- Jan. 20, Feb. 17, and Mar. 17th. Water color Work group is for advanced beginner and intermediate painters, who would like to come together once a month, to work in a social group, receive feedback and suggestions about their watercolor paintings from a professional instructor, and have instruction in different techniques or address specific techniques. Artists would bring the supplies that they have on hand. The class is 3 hours, although a 30 minute lunch break is included during class. Students would bring their lunch. In the event of inclement weather , the missed work group would be reschedule for the following Monday. Mary Klotz presents workshops and classes in Maryland, Virginia, and West Virginia and beyond. Her many interests and areas of expertise include watercolor painting, fine crafts including triaxial weaving, glass beads and jewelry, basketry and silk painting. Mary is continuously creating, and her work has been exhibited throughout the mid-Atlantic area and included in many publications. Mary received a BS in Education from the University of Maryland. Tuition $75 for three sessions. Pre-register by January 15 to assure your space.